20 years ago, on 7th July 1998, the first Hefner LP was released, it garnered some great reviews, ensured the band were to become one of Peel’s favourites (they had 5 entries in 1999’s festive 50! ), and cemented their reputation as Britain’s largest small band. More recently, the album was number 25 in Pitchfork’s 50 greatest Britpop albums, above A Northern Soul (Verve), Fuzzy Logic (Super Furry Animals), Vauxhall and I (Morrissey) and Tellin’ Stories (the Charlatans). Breaking God’s Heart now gets the essential 20th anniversary vinyl re-issue, accompanied by some shows where Hefner frontman, Darren Hayman, will play the album in full Here’s what Darren has to say about the record now: Breaking God’s Heart is an awkward, over confident start to my career. I have yet to get to grips with it again properly in preparation for these anniversary shows. It’s so far away in my past that I have some difficulty in relating to the person who made it. Mostly when I hear it I’m just amazed at the confidence, and possibly arrogance, I had then. I insisted on mostly first takes being used, vocals being recorded live in the room with the instruments, a ban on any reverbs or ambience being used. It was like I was trying to sabotage my career at the first hurdle. Many of those decisions were based on half understood, interviews with my idols from the American Lo-Fi scene but I really didn’t know what I was doing. It does make a bizarre and caustic record though, and I know there are plenty of people who think this is my best work and I never got back to the blunt energy of these recordings. I do see their point. 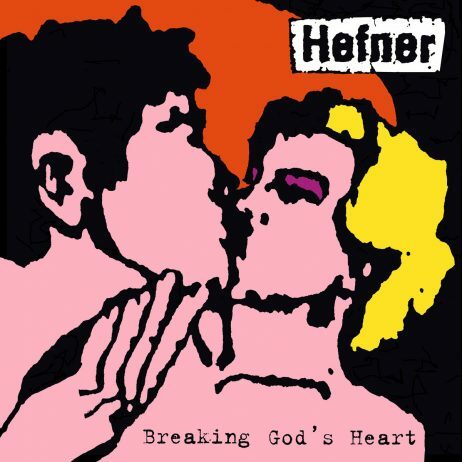 Hefner are running on the same rock-not-rock fuel as early Violent Femmes or The Modern Lovers, and like those groups are expert at building emotionally charged arrangements by adding or subtracting at precisely the right time. 8/10 Drowned In Sound. FORMAT: 700 12″ black vinyl albums, full colour inners, full colour sleeves + download code.